When you buy or sell stocks, bonds and other investments, you usually get assistance from a broker who actually executes the trades. These days, many investors use discount brokerage firms such as Fidelity, Charles Schwab, and E-Trade, which allow you to trade stocks online and get some basic research reports and advice. But what if you are a big hedge fund that manages billions of dollars, and is doing more than buying a few shares of an index fund? And what if you want to borrow large sums of money in order to maximize returns, short stocks, and make money even when the markets are going down? Well, then you probably need some special services and assistance. This is where prime brokerage comes in. Prime brokerage is a term that refers to the suite of services usually offered to hedge funds and other similar, large investors. 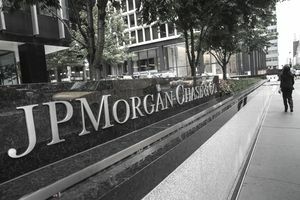 Most of the big-name investment banks, including Goldman Sachs, JPMorgan Chase and Credit Suisse often serve as prime brokers. While prime brokerage once represented a very small portion of revenue for these firms, it became an increasing part of their business between 2010 and 2015, and some firms continue to add prime brokerage customers. To understand prime brokerage, it helps to first get your head around hedge funds, what they do and what services they require. Hedge funds are partnerships that pool money together and use various kinds of investing and risk management techniques to try and earn big returns, even when markets are falling. They often use leverage (or borrowing) in an attempt to boost returns. These funds often manage money from pension funds and large endowments. Because of the scale of their investing and their approach, the needs of hedge funds differ from the average individual. Borrowing stocks or cash. Prime brokers assist hedge funds in getting extra cash in order to amplify returns, but also aid them in “short selling,” in which investors are able to sell stocks they don’t own by borrowing from a broker. Helping them find new investors. Prime brokerages can often offer “capital introduction” services, in which they set up meetings and make presentations to those that may be interested in investing in a fund. Access to research. Prime brokers usually have robust research departments that can churn out data and reports on nearly anything a fund manager may need. In many cases, the broker makes this research available to funds simply for being a customer. Serving as a custodian. It is this relationship as a custodian that allows much of the other services to happen. By actually having custody of a funds assets, a prime broker can move quickly on trades, and this also makes financial reporting much simpler. Stay aware of regulatory issues. The regulatory environment around finance is complex, and hedge funds may not have the resources to stay on top of every potential change in rules. Prime brokers often serve as advisors in this area. Other “concierge” services. Depending on the broker, they may offer niche services, such as performance analytics reports, and lines of credit. Newer funds may even get help with administrative tasks, such as human resources and employee training. Prime brokerage units can be rather profitable for firms because they can earn money in a number of ways. First, there are basic fees that brokerages charge for custody services, concierge services and others. Prime brokerages also earn substantial sums from the spread in interest rates between their borrowing and lending operations. In addition, prime brokers have the ability to use the collateral from clients for their own investing purposes. This is known as rehypothecation. In many cases, the fund permits their collateral to be used this way in exchange for a reduction in fees. Rehypothecation comes with some risk to the investor, as it there is always the potential that the brokerage could lose the investment even though it was not theirs to begin with. This practice was much more common prior to the collapse of the financial sector in 2008 and 2009. Bonds, options, and the reward for risk. What Does a Parallel Shift in the Yield Curve Mean?